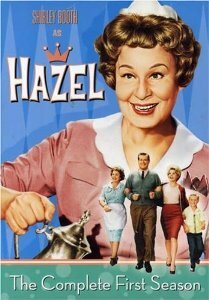 The Hazel TV show was a comedy series about a very successful corporate attourney, his family and their maid named Hazel. When George Baxter arrived home at the end of a hard day at the law office, he had to deal with the head of the household ... definitely his maid Hazel! She ran his home every bit as efficiently as he ran his office. They had many conflicts, but Hazel always turned out to be right and her opion prevailed! Hazel was based upon the cartoons by Ted Key in the "Saturday Evening Post". George Baxter worked as a corporate attorney. Whitney Blakeis is the mother of Meredith Baxter (Birney). Meredith played Elyse Keaton on the series, "Family Ties (1982)". Whitney also guest-starred in the very first episode of "Perry Mason" in 1957 titled, "Restless Redhead". Shirley Booth's name at birth was Marjory Ford. Some of her early acting credits listed her as Thelma Booth Ford. She was the cashier on the, "Duffy's Tavern Radio Show". She won three Tony Awards for her roles in "Goodbye, My Fancy", "Come Back, Little Sheba" and "Time Of The Cuckoo". Don DeFore has the distinction of being the only person ever to open a restaurant at Disneyland. He and his brother Verne ran the "Silver Banjo Restaurant" in Frontierland from 1957 to 1961. For the final season, Hazel moved from NBC to CBS. 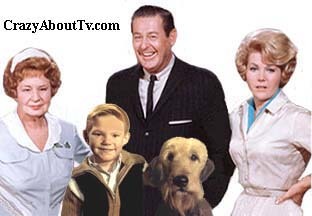 George and Dorothy moved to the middle-east and left both Hazel and their son Harold with George's brother's family. The season began with Steve Baxter swearing that he would never allow Hazel to take over his home like George had! Eventually Steve was "ruled" by Hazel just like George had been. By: "Howard Greenfield & Jack Keller"
It's your personality that wins them over. You've got a heart of solid gold. The First Season on 4 Dvds! Thank you for visiting our Hazel TV show page!